The Land of 10,000 Lakes or Minnesota is located in the north midwest region of the United States. 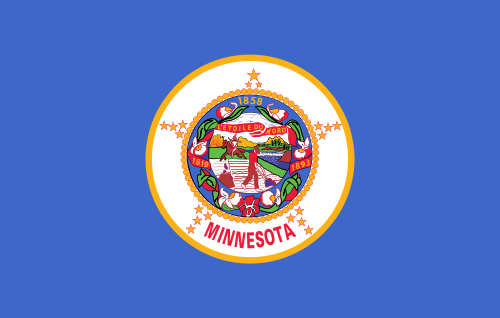 Voted into the union as the 32nd state in 1858, Minnesota sits just east of the Dakotas. It is ranked 12th in the country with the size of land and ranked 21st for population with over 5.4 millions residents. The capital of Minnesota is Saint Paul, however Minneapolis is the largest city and the twin cities (Saint Paul-Minneapolis) area is the largest metro in the state. About 60% of the state’s population reside in that area and the other regions in the state consist of prairies and forests. Minnesota has a wide variety of social and political representation as well as a wide-variety of economic industries. While you may be looking for scrap prices in Minnesota, you can check out the iScrap App for the information. The scrap yards listed in the metro areas of Saint Paul and Minneapolis are listed on the iScrap App, along with their current prices. If some yards choose not to update their prices, users can also report their own scrap prices. Scrappers that are in the Minnesota area will have the chance to post prices they recently received at their yard. This is helpful to stay updated on the scrap metal market. While there are some popular companies like Target, 3M, General Mills, and Land O’ Lakes, Minnesota has some a large hand in the agricultural sector with green peas, beets, corn, and even Christmas Trees. There is a large amount of mines throughout the state with iron and have a large quantity of technology based production. When it relates back to the Minnesota Scrap Yards, there is a good portion of locations throughout the state to help recycle scrap metal for different industries. Throughout the state you can find yards and auto wreckers in Minneapolis, Saint Paul, Winona, and other areas around the metro areas. You will be able to locate the yards on the iScrap App by searching for your zip code or you can search the above map for the yards in your area. The scrap yards’ contact information will be available, as well as scrap prices, request forms for containers for scrap jobs, auto parts for repairs, and you can request a scrap car pick up. PREMIUM YARD Lake State Recycling, Inc.